Join us in the PSBA Apiary for fun, some work, and the buzz of the honey bees! If you haven’t participated yet, PSBA Apiary Work Parties are a great way to learn something new, get your hands dirty there’s always something new to learn at each party, so be sure to attend more than one! 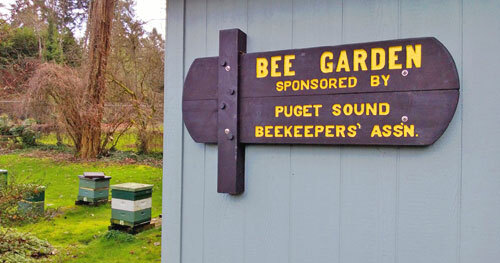 Your participation helps PSBA manage our apiary at the Washington Arboretum. Select a work party from the available dates listed to access registration. Contact the work party leader if any questions. Details about what to wear and bring included in confirmation email. Print and complete the liability release form found here (You only need to do this once for the current year). We have copies you can fill out at the work party, but this saves time. 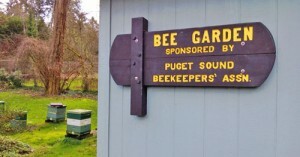 Show up to the PSBA Apiary on the work party date. The PSBA Apiary is behind the greenhouses and the Graham Visitor Center of the Washington Park Arboretum (This is a different location from the CUH where we hold our monthly meetings). Work parties are limited to individuals and families. Businesses wishing to participate should reach out to the apiary manager directly. See you at the apiary!